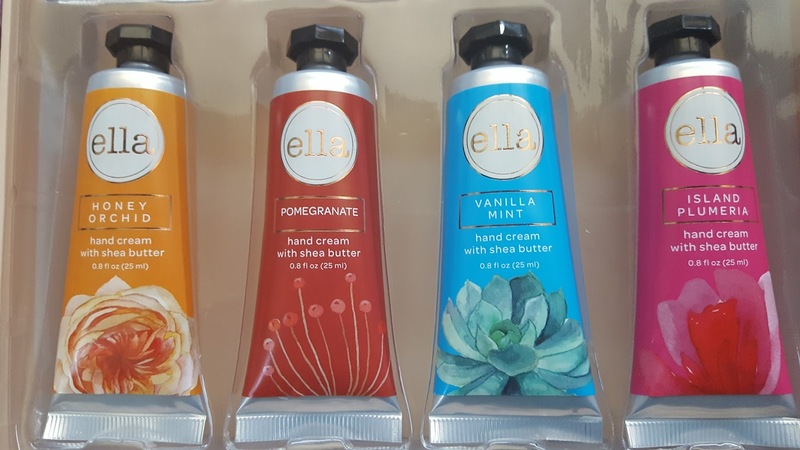 One of my favorite beauty splurges is on hand cream. 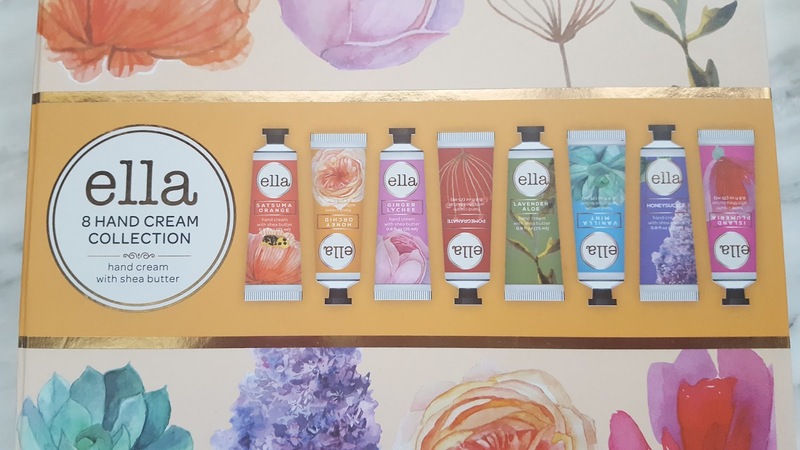 Even though it's a necessity, hand cream can be so luxurious and I can never resist gorgeous packaging. 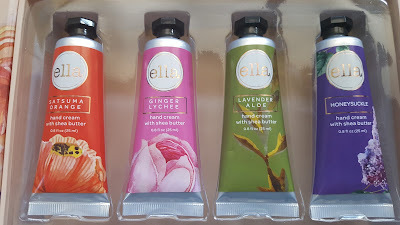 When I saw this Ella Hand Cream Collection with scents like Ginger Lychee and Vanilla Mint I knew I had to have it. These hand creams contain shea butter which makes them extra moisturizing. They come in .8 fl oz tubes so they're perfect for on the go but at $10 for 8 tubes it's a steal. 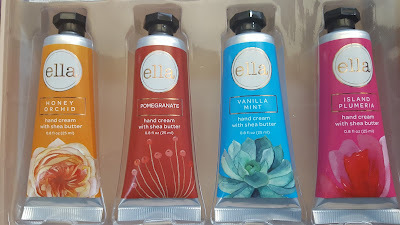 I found this collection at my local Ross so if you're still looking for that perfect mother's day gift head over quick and see if it's still available! Ross always has great deals, and now hand cream too?! Awesome! 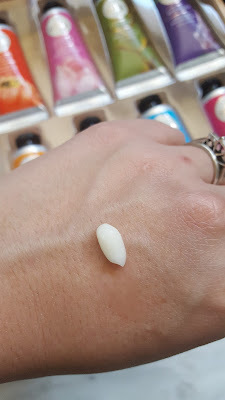 The scents sound wonderful and I love anything with Shea butter! This makes me so happy!! I love a good hand cream. I can see me getting a bunch of these for gifts and keeping one for myself too!! 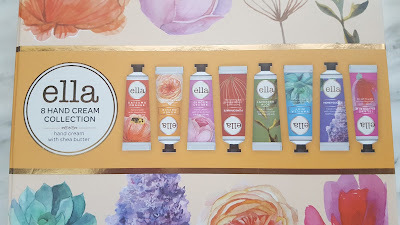 Love any Shea butter and what gorgeous packaging!! Hugs sweet and beautiful friend!!! 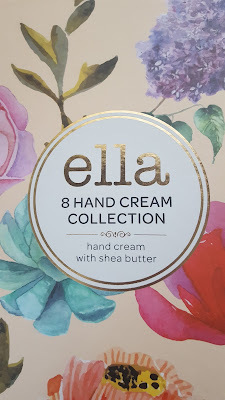 I'm obsessed with hand cream, but haven't tried this one! Looking forward to trying it out! Love this cream collection! Great post dear! Thanks for sharing!